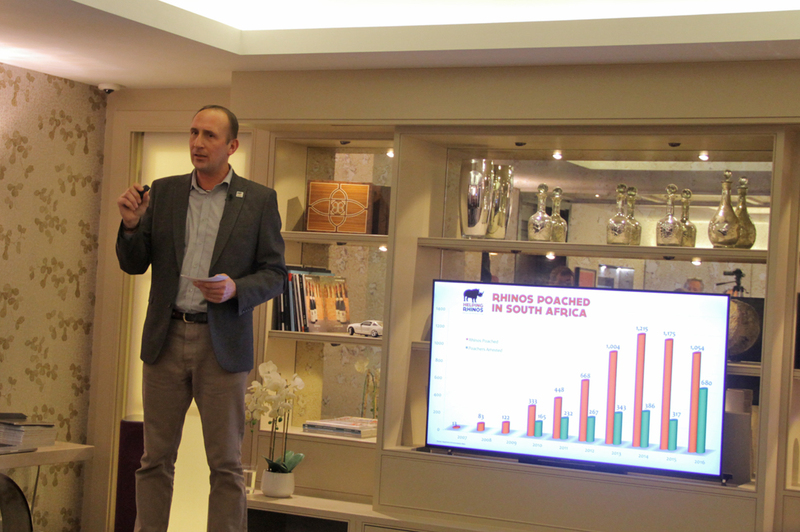 In November 2017, a number of London based Helping Rhinos supporters gathered together at the impressive Cornflake Show APPartment in central London. The evening was designed to thank supporters and to share how their support has made a real difference to rhinos. Short film updates were shown from the Zululand Rhino Orphanage and the Black Mambas, before Richard Vigne, CEO of Ol Pejeta Conservancy in Kenya, joined in person. Richard shared the latest news on the northern white rhinos and the successful breeding programme of black rhinos. Sarah Cobden Ramsey also joined the evening to display her amazing Rhino Tears jewellery, a line that was very popular with our guests. Click the link above the see more details on Rhino Tears and how you purchase the necklaces and earrings. 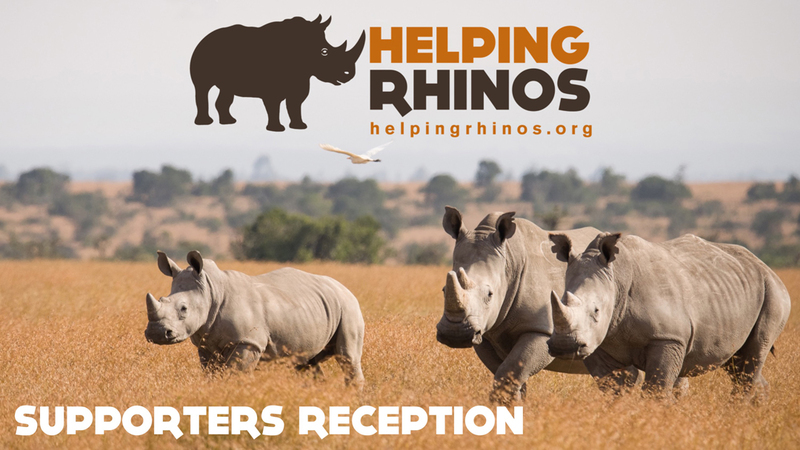 For those that couldn't make it to London, please click the film clip below to see the presentations in full from Simon Jones, CEO of Helping Rhinos, and Richard Vigne plus the updates from the field. Thank you to Green World TV for recording the evening and making the footage available to us.